Financial groups are emerging as major source of capital for mining operations globally. This represents the major shift happening to project investment across the industry. Many of mining projects worldwide are also being supported by major financial groups or investment funds. The same event occurred in East Europe, Russian Solvay sold its SASA mine in Macedonia to a financial groups. Two finance groups announced they are buying one of Eastern Europe’s most historic zinc and lead mines — the Sasa operation in Macedonia. Orion Mine Finance and Swiss-based Fusion Capital said they have struck a deal to buy the mine from the current owners, Russian-backed mining group Solway. Details on the operation — which dates back to the 1960s — are scarce, but reports suggest it could be capable of processing up to 1 million tonnes of ore yearly. 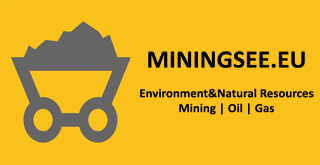 Major mining industry medias from US-Canada-UK raised the questions to our mining desk news but both internationally and locally companies remained discrete. Only local Macedonia medias reported on the mine ownership changes. In the same time the SASA mine acquisition raised the questions from SEE & Macedonia NGO networks which are already monitoring the big mining companies operations in Romania, Bulgaria, Serbia and Bosnia. Macedonia NGOs linked with EU based Environment advocacy groups said it will try to motivate the investors on the transparency mechanisms and Performance Requirements which are now obligatory in all European countries specially because of the international banks following up on this standards. Stock market medias from US & Canada commented the deal looks to be a good one — with Orion and Fusion noting that Sasa comes with “first quartile cash costs,” which should mean solid profits here. The fact that investors, and not miners, are buying these kind of quality assets shows the trend of a new juncture in the mining business. For project developers — and sellers of projects — this trend could be critical to making money going forward. South East Europe mining potentials remains open for companies like Orion-Fusion which are obviously taking the advantage of the forgotten perspective market of South East Europe.